George Soros signals that Tesla will go bankrupt. Usually when a savvy investor like George Soros invests $35 million in your company, that’s considered a good thing and a vote of confidence. Not this time. 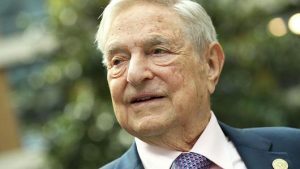 Soros just purchased $35 million of Tesla bonds, according to this article. The bonds carry an attractive yield and are convertible into Tesla stock so it might be a perfectly fine investment if all goes well. But, that’s not the only reason Soros bought them. In a typical bankruptcy case, equity is wiped out and the senior creditors become the new stockholders of the company. If all goes well at Tesla, the Soros investment will do well also. But if Tesla goes into bankruptcy, the Soros bonds will be turned into Tesla stock and Soros and his fellow bondholders will take over the company for pennies on the dollar. Elon Musk and the current Tesla stockholders will walk away empty-handed and Soros will be the part-owner of a newly reorganized debt-free company. Private equity sharks call this strategy “loan to own.” In other words, you start out as a lender, but end up as the owner once the original equity is wiped out. Either way Soros wins. The Soros investment in Tesla might be a vote of confidence. On the other hand, it could be the action of a shark who smells blood in the water.